Summer is the perfect time to spend hours outside enjoying all that Colorado has to offer. But all that time outdoors means you’ll be seeing a lot more of your lawn. When it starts to look discolored or drab, it can make your entire home exterior look less appealing. Luckily, your trusted Denver sprinkler service has you covered. We’ve put together a few simple tips to help you keep your lawn lush and green no matter how warm the summer weather gets. Your sprinkler system should have a programmable timer that lets you water your lawn without having to push a button or move the hose. But if that timer is set improperly or broken, your sprinkler system won’t work as it should. Take a look at the timer and make sure it’s set to water your lawn when you think it needs to. If not or if you see any problems, schedule a repair appointment as soon as possible. Believe it or not, there’s a right and wrong way to water your lawn. Try to give it a long oak session every other day rather than watering for a few minutes each day. This encourages your lawn’s roots to grow deeper so they can draw up moisture out of the soil on their own between watering sessions. The more water they pull up, the less dependent they’ll be on your sprinkler system. Your grass will stay green even during dry periods. Watering your sidewalk or driveway won’t do your grass any good. Take a look at the placement of your sprinkler heads. Sometimes, they can get knocked out of alignment by mowing or landscaping tasks. If the spray is hitting your grass and landscaping, you’re in good shape. But if it’s watering a good portion of your pavement, get the system inspected and fixed before summer is in full swing. Mowing your lawn is a weekly chore, but did you know you can cut it too short? The shorter the grass is, the faster the blades can dry out. This results in an underperforming lawn filled with brown patches and discoloration. Instead, raise the cutting height on your lawn mower as soon as the weather warms up. Longer blades of grass are more resistant to dehydration. Just remember to check with your HOA and make sure you’re not leaving your lawn too long. No one wants to see the neighborhood stickler on their lawn with a ruler. Weeds are more than an unsightly nuisance—they’re also a threat to your lawn’s water supply. Weeds have much longer root systems than any established lawn ever will. And that means those roots are the first to reach the moist soil and groundwater supply underground. 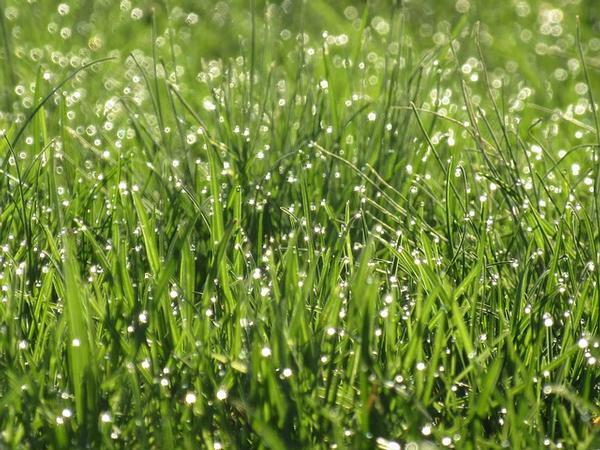 They can take that moisture for themselves, leaving your lawn with an inadequate water supply long before you notice any discoloration. As soon as you see any weeds growing, get rid of them. Aeration is key in great grass growth. It gives the soil and your lawn the oxygen it needs to grow and thrive. Further, it helps reduce how much the soil compacts under the weight of the grass and human activity. This helps the roots spread and grow more established. All you need to do is grab your pitch fork or other long-pronged gardening tool and jab it into your turf. The holes should be at least an inch deep and spread out over the entire lawn. It’s normal to want to use your lawn during the summer. After all, that’s why you’re focusing on growing that lush and beautiful grass! But you’ll still want to keep human activity to a minimum. Remove heavy lawn furniture when you’re not using it and encourage the family to walk on walkways and paths rather than cutting through the grass. If they’re playing in it, don’t panic. A little bit of use won’t kill your grass. It’s only when the activity becomes near-constant that the grass starts to struggle. All soil has nutrients, but those nutrients eventually get absorbed by the plants and your lawn. Over time, you’ll need to replenish the nutrients to keep your yard and landscaping looking great. A good fertilizer is all you need, but take care to follow the instructions on the package and stick to them. Over-fertilizing an fry your lawn by changing the pH balance of the soil. When this happens, the grass won’t be able to get the nutrients it needs and may slowly start to die. And it’s incredibly hard to bring an over-fertilized lawn back in a single summer. If you’re nervous about overdoing it, consider hiring an experienced landscaping team to handle your fertilization needs. They know how much to use, when to use it, and how to apply it most effectively. What happens if your sprinkler system breaks and you’re waiting on repairs? Well, you’ll still have to water your lawn and that means using the hose to keep the soil damp and cool. But you still want to be cautious. Avoid running the hose until you know the water is cool. Let it drain off on the pavement or into a designated drainage area until the water is at least room-temp. Hot water is a fast way to destroy the lawn, scorch the roots, and kill your progress. 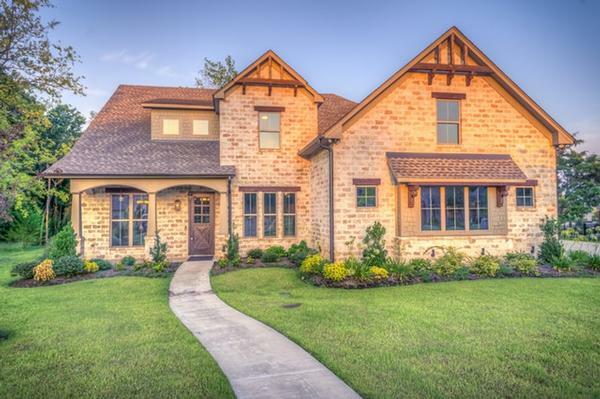 Summer is the perfect time to get outside and enjoy your home’s landscaping. You just need to show it a little TLC to make sure it grows well throughout the warmest months. Schedule an appointment for a sprinkler system tune-up with our team and let our experts get your irrigation system up and running at its best. Taking care of minor issues now means you’ll be able to enjoy the summer weather without worrying about your lawn. You love your home and your landscaping. But it shouldn’t cost you an arm and a leg. Unfortunately, with some landscape lighting systems, that’s exactly what you’ll get. Luckily, there’s a simple upgrade you can take care of that will decrease your expenses and improve your landscape design immediately: replacing old lights with new LED bulbs. But why would you go to the trouble to install new lights when your existing system works just fine? Your trusted landscaping and Denver sprinkler repair pros are here to help. We’ve put together a few compelling reasons that make LED bulbs a must-have addition to any outdoor lighting system. Most outdoor landscaping lights heat up quickly anytime you turn them on. This is fine in most cases, but when the light fixture is close to plants or in areas with dried overgrowth, it becomes a major safety hazard. Some bulbs get hot enough to burn dust and spark small fires in dried plant materials. Other cooler bulbs may not spark fires, but they can produce enough heat to damage your plants. LED bulbs produce virtually no heat. This means they’re safe for any light fixture in your yard, even ones close to plants or in areas that are at high-risk for fires. This helps guarantee that your landscaping looks great and lets the lighting do what it’s meant to: illuminating your yard and highlighting your favorite landscaping features. With traditional light bulbs, the light comes out in a 360-degree pattern. This means you need sturdy and properly angled lampshades to position the light where it needs to go. Unfortunately, this also makes the light dim and impacts the visual appeal of your yard. LED bulbs emit light directionally. This means you can position them precisely where they need to go and know that nearly 100 percent of the bulb’s light goes where you want it to. Your fixtures serve largely as decorative touches with the right LED bulb. When a halogen, fluorescent, or incandescent bulb burns out, you’re forced to throw it away. They can’t be recycled and, in many cases, must be disposed of properly. Otherwise, you run the risk of contaminating the environment. Why? Because many of these bulbs contain harsh chemicals and toxins. When they’re not properly dealt with, those chemicals leach into the soil and water supply. When you upgrade to LED bulbs, you’re making a more responsible choice. They’re completely recyclable as long as you find a facility that accepts them. If you can’t recycle them, tossing them in the trash is fine. The bulbs contain no chemicals or toxins at all—the only hazard you’ll face is possible broken glass. If you’ve ever turned an outdoor light on and had to wait for the light to get brighter, you’re not alone. This is a common problem especially with compact fluorescent bulbs. And when the temps drop, like they can during spring and early summer nights, those bulbs take time to reach full capacity. Worse, experiencing extreme temperatures can shorten their lifespan. LED bulbs work flawlessly no matter how hot or cold it gets outside. As soon as you turn the lights on, they reach 100 percent capacity. There’s no waiting for them to warm up. Instead, you get to enjoy your outdoor lighting immediately. The average homeowner pays more than $1,200 for electricity each year. When you have landscape lighting installed, that only increases your home’s energy usage. And the more electricity you consume, the more money you’ll owe the utility company every month. Traditional bulbs are designed to light up, but don’t do it efficiently. If you have a large yard and use landscape lighting to accent most of your home’s exterior, that can put a huge strain on your budget. Upgrading to LED bulbs in your outdoor fixtures helps you save money month after month. They use a fraction of the electricity of halogen, fluorescent, and incandescent bulbs. Though they use less energy, they still emit the same amount or more light per bulb. All bulbs burn out eventually. Traditional incandescent and fluorescent bulbs can have their lifespans shortened by extreme weather and changing conditions. With your landscape lighting, you need the lights to work consistently. If bulbs keep going out, replacing them is not only annoying—it’s time consuming and costly. Installing new LED bulbs instead will help cut down the amount of time you spend on landscape lighting maintenance. Most LEDs last for years. And while they do cost more than their less-efficient counterparts, you’ll still save money in the long-run. Since you’re buying fewer light bulbs and paying less for electricity each month, you’ll cut your costs by hundreds over the life of the system. 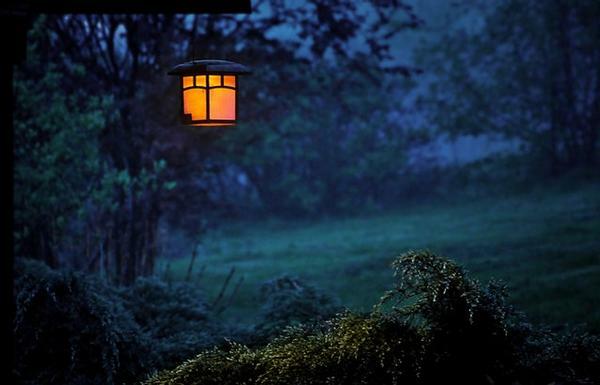 Many homeowners use landscape lighting for more than highlighting their favorite plants and features. They use it to illuminate walkways and make possible hazards visible. Though traditional light bulbs help, they’re not ideal. The light they emit is often yellow and warm. With some hazards, the color makes it harder to see details. Most LED bulbs, especially those designed for outdoor systems, put out daylight-like light. This means it’s clear and illuminates dim areas so you see their actual colors. This means your walkways will be easier to navigate even for people with poor night vision. No matter what size yard you have, your lighting system needs to be properly designed to fit the space. And that means you’ll need to work with an experienced professional. Doing things on your own is a great way to devalue your property and increase your frustration with your landscaping. At Water Solutions, we’re here to help. Our dedicated team knows what works and what doesn’t for Denver-area yards and gardens. We’ll help you find the right lighting design, fixtures, and installation to transform your property into a show-stopping masterpiece. Contact us online or give us a call at (720) 435-1495 to schedule an estimate. Summer will be here before you know it. And for Denver residents, this means bracing for those long hot days. Your garden and landscaping will need extra water to make up for the rain we don’t get and that increased demand can take a major toll on your water bill. 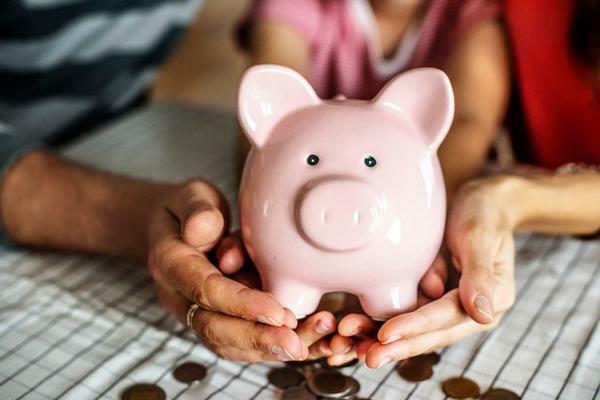 No one likes shelling out hundreds of dollars each summer just to cover one of their basic utilities, but there are things you can do to keep costs as low as possible. Your trusted Denver sprinkler installation team shares a few water-saving tips to keep your bills low and affordable in spite of the heat. Summer heat makes water evaporate off plants and out of the soil quickly. And when the sun is shining, the evaporation happens even faster. This means you’ll need to run your sprinklers for longer if you water during the warmest part of the day. Instead, set your timers for early morning or late evening watering sessions. This way, the soil and the air will be nice and cool. This allows the water to soak into the roots and the soil rather than evaporating in the sunlight in a matter of minutes. As an added bonus, it reduces the risk of scorching on your plants so your landscaping will look even better for months to come. The average person uses about 17.2 gallons of water every time they shower. With a large family, that can put a lot of strain on your water bill. Instead of using the shower as a chance to relax, start taking shorter showers. Shaving off just a minute or two per person per shower can save you tons on your water bill month after month. If you want to make the most of your water usage, stick a bucket beneath the spray while you wait for the water to warm up. After you shower, you can use this water for everything from watering houseplants to mopping the floors! No one likes drinking warm water in the middle of the summer. And, sure, the tap will eventually cool down after you run it for a minute or so. But letting that water run is like watching cash go straight down the drain. Instead of waiting for the tap to cool down before filling your drinking glass, keep a pitcher of water in the fridge and refill it every time you use it up. This way, you’ll always have cold water to help you beat the heat. Laundry day is a major chore and it might seem easier when you take care of small loads throughout the week. But doing so wastes a ton of water. Instead, let the laundry pile up until you’re ready to run a full load. Your machine can handle the job and you’ll use less water (and electricity) each week. Over the course of the year, this can result in a hefty savings and will slash your water bill month after month. Grass grows quickly and the shorter you cut it, the longer you can go between mowing sessions, right? The truth is, while it may save you time on lawn maintenance, it makes your lawn use far more water than it should. The shorter the grass is, the more soil is exposed to the sun and heat. This means any moisture in the turf evaporates more quickly. Leaving your lawn just a bit on the longer side may mean you’ll be mowing every week. But it also means you’ll be able to water your lawn less. Longer grass shades the soil and helps keep it moist. This can help cut down on your water usage all summer long. Before summer is in full swing, schedule a sprinkler system inspection with your maintenance service. During the inspection, they’ll check the entire sprinkler system, looking for leaks and damage in the lines and sprinkler heads. Remember, even small leaks can waste gallons of water each week and the sooner they’re fixed, the better off your water bill will be. The inspection is also the perfect opportunity to check the timers and computer system for accuracy. The more accurate your system is, the easier it will be to maximize your watering routine. With the right system in place, you won’t even have to think about your landscaping. Instead, you’ll be able to enjoy your yard and all its new growth with the knowledge that your system is using the least amount of water necessary. Washing a car is a classic weekend activity. But when you do it yourself in your driveway, all those gallons you use to get rid of dust and grime are included in your utility bill. If you have more than one car or wash them once a week like clockwork, that can increase your bill by hundreds of dollars over the course of the summer. Instead, head to a nearby carwash. Carwashes are affordable, thorough, and leave your car sparkling like-new. Not only will you have a pristinely clean car, but you also won’t have to worry about increasing your water bill. As an added bonus, you’ll keep your landscaping in better condition. Soaps and cleaning agents can damage your lawn and landscaping quickly. The less it’s exposed to harsh chemicals, the better your lawn will look and the more money you’ll save on landscaping services. High water bills can take the fun out of summer. But if you follow these tips, you should be able to keep your water usage under control and lower your bills month after month. The best place to start is to schedule an inspection with Water Solutions Sprinkler Service as soon as possible. The sooner you fix minor issues, the better off your lawn and your landscaping will be for the summer months ahead. Spring is just around the corner and if you’re like most Denver homeowners, you’re starting to plan all those fun gatherings and parties already. And no one wants to host a party without making the most of their backyard! And with so many sunny and warm days, it’s no wonder! It’s one of the many reasons we love the Denver Metro Area! But after a long winter, your yard will need a little TLC before it’s ready for those upcoming gatherings and your trusted Denver sprinkler service wants to help. Here are a few tips to get your yard ready for everything spring can throw your way. The first step towards getting your yard ready for warmer weather is to have your sprinkler system tuned up. During the tune up, the technician will make sure every sprinkler head works properly. They’ll also check the water lines and electrical components for wear and tear. If anything is wrong or needs repair, they’ll take care of it before the growing season starts in earnest. This way, your system will be ready to help your lawn grow lush and green the minute the temperatures rise. Remember, the key to keeping your lawn looking its best is regular and thorough watering. Without your sprinkler system, you won’t be able to keep it looking its best. For most homeowners, the soil in your backyard will need some refreshing before your lawn can grow well. After a long winter, many of the nutrients in the soil will still be low around your lawn. This means you’ll need to add a bit of fertilizer to the grass. Fertilizer helps give your sod and grass the nutrients it needs to grow quickly once the weather warms up. When done properly, it sets you up for a successful growing season without much maintenance. Keep in mind, you’ll want to be cautious when spreading fertilizer. Too much can change the pH balance of the soil and keep your grass from growing in the first place. Once your grass starts growing, you’ll need to keep it trimmed properly to keep growth levels consistent throughout the spring and summer. But over time, your lawn mower and other gardening tools start to get coated in dust and grime, even if they’re not used. Stay on top of the wear and tear by cleaning and tuning up your equipment at the beginning of spring. This way, you’ll have everything you need to keep your yard party-ready at your fingertips. Guests need a place to relax and enjoy your parties and events. And for most of them, sitting on the grass just isn’t an option. You need to have quality outdoor furniture in place to keep guests comfortable during your gatherings. If you have pieces on hand, inspect the cushions for damage and set them in the sun for a few hours to air out. The sun’s UV rays helps kill mold and mildew and the open air helps get rid of any strange and lingering smells lurking in the upholstery and padding. Wipe down each piece of furniture to get rid of dust and dirt. If you don’t have furniture, consider investing in a few pieces. For serious home entertainers, a good outdoor living set is well worth the investment. But if you’re only using it occasionally, adding a few lawn chairs will be more than enough to keep your guests happy. Keeping your yard looking nice means keeping a weathered eye out for weeds and unwanted plants. Unfortunately, weeds have a way of popping up before anything else in the garden starts to grow or produce flowers. And once they do, the roots can threaten those carefully chosen plants. Every week or so, head out to your backyard and inspect the lawn and garden beds for signs of weeds. Diligence matters. 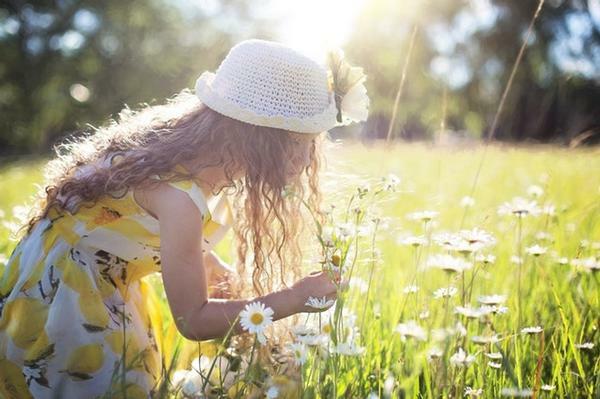 The more weeds are allowed to grow, the more they’ll spread throughout your yard. If you notice any, pull them up or kill them with an all-natural method. The last thing you want to do is use toxic chemicals on your grass, especially if you have small children or pets in the house. Denver is, believe it or not, considered a high-elevation city. This means the sun’s rays have to go through less atmosphere before it hits the ground. For humans, this means an increased risk of sunburn after only a short time in the sun. But covering up isn’t always an option, especially during some of Denver’s warmer springtime days. Instead, create shaded areas where people can escape the sun without putting on a sweater. Use umbrellas on your deck. Hang canopies between the trees and consider investing in a permanent covering for your deck or patio. These shaded areas will even make your yard more comfortable during the full heat of the summer! Decorating your yard for parties and events makes the entire space feel festive and colorful. But some decorations can damage your landscaping permanently. Be careful about the types of decorations you use. Look for ones that are easy to remove. Decorations on garden stakes are a great way to add color without damaging your plants. If you hang decorations on trees, make sure you leave room for the tree to breathe. Wrapping ropes tightly and using long nails can damage your trees and thus hurt your landscaping. Your backyard deserves to get used as often as possible. But if you’re not confident in the way it looks, you won’t want to host parties and gatherings outside. Use these tips to get your landscaping ready for your spring and summer festivities and get the most out of your outdoor living space. If you’re not sure where to start or need help getting things back in good shape after the last freeze, schedule a consultation with Water Solutions today.